QUESTION: Do I have to have a blog to participate in the Slice of Life Story Challenge? ANSWER: Yes. While you’re welcome to write for 31 days of March in your writer’s notebook or a Google Doc, participating in the Challenge means being a part of an online writing community. Your blog should be open to comments so other Slicers (That’s what we call the people who participate in this writing challenge.) can support you on your writing journey. It doesn’t take long to start a blog. It’s also free! Personally, I like WordPress. Blogger and Edublogs are also good options. (You should note some folks have had ongoing issues leaving comments on Blogger blogs — because of the Captcha images — from their mobile devices.) Click here for a blog post I wrote a few years ago about how to create your blog. QUESTION: Where will I place the link to my blog? ANSWER: Every day in March, there will be a call for slice of life stories at 12:01 a.m. Eastern Time. You will place the permalink to your blog post in the comment section of that day’s blog post. Here’s an example from last year: https://twowritingteachers.wordpress.com/2015/03/01/sol15-day1. Please do NOT link on this page, https://twowritingteachers.wordpress.com/challenges/, which is our Slice of Life Information Page. Comments left on that page will not be seen by other Slicers and will not be counted as one of your 31 posts. Further, please do not leave the link to your slice of life story on the Classroom SOLSC post, which will go live daily at 12:00 p.m. Eastern Time. That post is only for classrooms of students who are taking the challenge. NOTE: This won’t go live until 12:01 a.m. EST on Sunday, March 1st. I wanted to give you the exact place where you will need to link your slice of life story on the first day. The links for days 2, 3, etc. will look similar (e.g., https://twowritingteachers.wordpress.com/2016/03/01/day-2-sol16, https://twowritingteachers.wordpress.com/2016/03/01/day-3-sol16. #sol16 we submit our posts on the twt blog, correct? not on a Twitter post? ANSWER: You must link up on Two Writing Teachers daily. Twitter is optional. If you wish to Tweet the link to your slice of life post on Twitter, you may use #sol16 hashtag so other Slicers will see your post on Twitter as well. QUESTION: What should I write when I leave the permalink to my slice of life story? Having a WordPress account makes it faster for you to leave comments. However, you don’t have to have one. Just fill in your username (for the challenge), your e-mail address, and your blog’s URL in the appropriate fields, THEN leave your comment in the comment box. QUESTION: What should I write about? Can I write about teaching? Are you wondering what a slice of life story is? Click on this image to enlarge & to learn more. ANSWER: A slice of life storytelling technique that offers insight into an ordinary person’s life. You can think of it as a small moment story. You’re not telling about your whole day – just a piece of it. That being said, your slice of life post should not be, for instance, a lesson plan or notes about staff development training you attended. Information/advice that’s not presented as a narrative is not a slice of life story. Neither is a book review or a giveaway. Please do not link to whatever was on your blog that day. Our goal is to build a community of writers through story. We hope you honor that request by sharing your stories with the Slicer community. ANSWER: These memes are great and we encourage people to continue taking part in memes they love. However, these memes are separate posts from the SOLSC. We prefer posts do not overlap since most memes are more informational, rather than story-like, in nature. QUESTION: What if I miss a day? Am I out? ANSWER: Part of the Challenge is to write for 31 consecutive days. If you write daily for 31 days, link to the daily call for Slice of Life Stories, and give at least three other people comments every day, then you will be in the running for a prize once the Challenge is over. However, we realize life happens. Sometimes people miss a day. While you won’t be in the running for a tangible prize at the end of the month if you miss a day, you should come back the following day to share your writing. Being part of this writing community is about so much more than working for a prize. You’ll never be “out” if you have to skip a day or two. QUESTION: I write on a collaborative blog with another teacher friend. Will it count if I write on the even days and my friend writes on the odd days? ANSWER: Each person must participate in all 31 days of the Challenge if you’d like to be in the running for prizes. (And there are MANY incredible prizes this year!) Each of you should be writing a slice of life story and linking to your slice of life story every day in March in order to be considered as having fully participated in the Challenge. ANSWER: We’ve never set rules like “comment on the previous three commenters’ posts” or “comment on the person who posted before you.” We do not want to mandate who people should connect with. Just because you like to post at 8:00 p.m., doesn’t mean the people who posted from 7:00 – 8:00 p.m.’s posts will resonate with you. Typically, people write a sentence or two about their slice of life story when they leave a comment. Read those teasers. That might help you decide whose blog posts to read. Even though it doesn’t contain personal information (e.g., your mailing address, email address), the co-author team and I don’t want this information living online. We hope having a spreadsheet will make it easier for you to keep track of which blogs you’ve visited. This year, since we’re trying writing pods, we hope you’ll be able to find people who have similar interests. For instance, if someone checked off they’re a mid-career teacher who likes to blog about their children who are under 18, their spouse, travel, and cooking, then they can look for other people who blog about their kids, their spouse, travel, cooking, and/or who are mid-career teachers once they receive the spreadsheet. While we cannot guarantee the people in your writing pod(s) will comment on your posts, it is one of our attempts at making the challenge feel a little smaller this year. QUESTION: What is the “Welcome Wagon” I’ve read about? Adrienne Gillespie, Aileen Hower, Barbara Keene, Barbara Suter, Becky Leff, Beth Scanlon, Bev Baird, Bob Hamera, Brittany Butler, Carol Wilcox, Carrie C., Chris Margocs, Chris Rayner, Donna Smith, Elisa Waingort, Erika Calhoun, Erika Victor, Fran McVeigh, Joanne Toft, Jone, Julie Johnson, Julieanne Harmatz, Kathleen Britto, Kim Koehler, Kristi Lonheim, Laura Brown, Laura Lee, Leigh Anne Eck, Linda Baie, Lori Sheroan, Maria T. DeHaan, Maya Woodall, Michelle Haseltine, Mindi Rench, Molly Hogan, Robin Sheldon, Rose Cappelli, Sally Donnelly, and Shelly Surridge. This year, the Welcome Wagon volunteers will trade their lists of new Slicers halfway through the Challenge. That said, we don’t divulge who your Welcome Wagon people are. (Though many people will figure it out!) However, we encourage you to read and comment on the blogs of anyone who leaves comments on your blog posts. 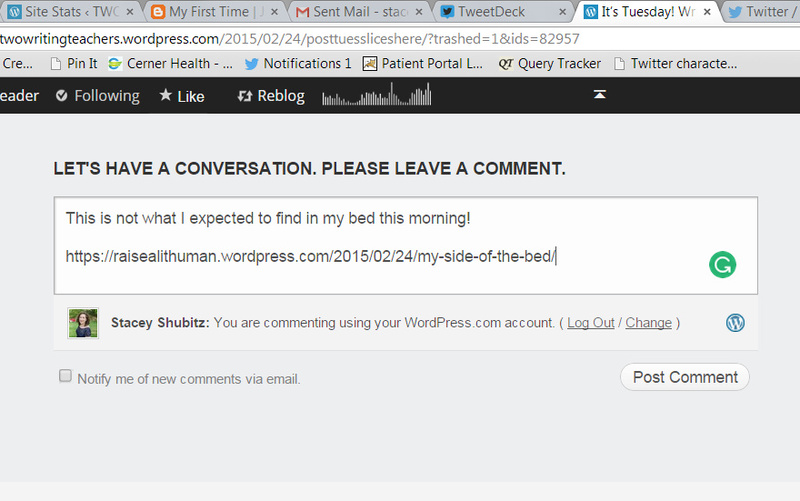 QUESTION: What if no one comments on my blog? Should I stop writing? 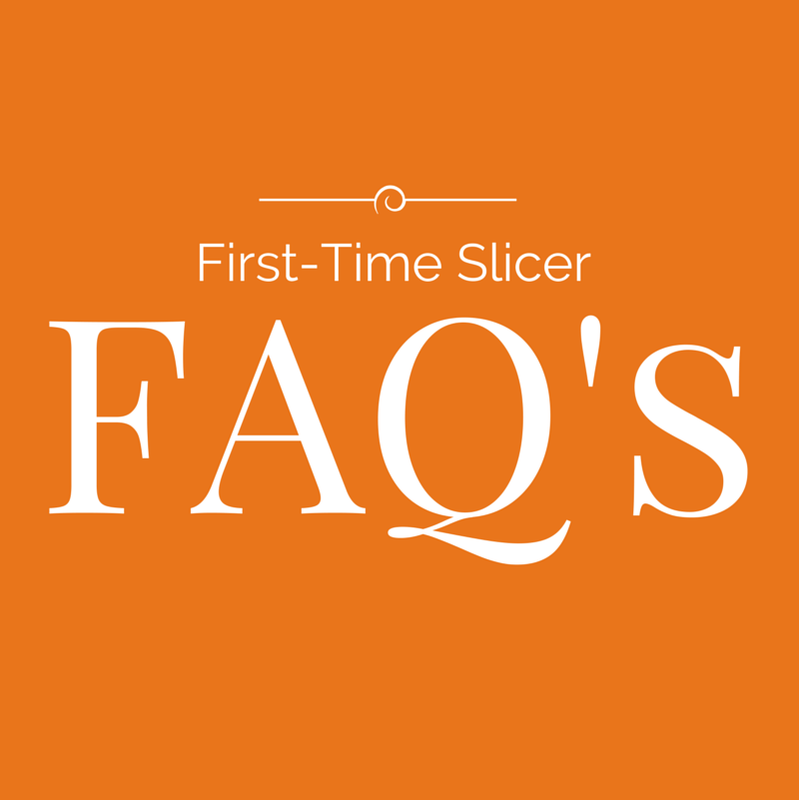 ANSWER: First of all, if you’re a new Slicer, make sure you let us know that when you fill out the participant information form. From there, we’ll dispatch someone from the Welcome Wagon Team to greet you within the first four days of the Challenge. Second, ask yourself, “Am I writing too much?” Sometimes people who write longer slices lose their readers before they get to the end of the piece. Slice of Life stories do not have to be lengthy. Think 300 – 700 words. Third, make sure you’re commenting on other people’s slice of life stories. 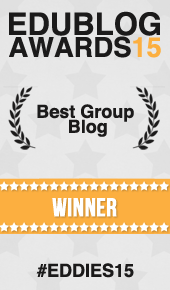 We recommend commenting on three other blogs as a bare minimum. If you have time to visit more blogs, then please do so! Part of being part of a writing community means getting to know other writers in the community. If you’re stopping by other people’s blogs and leaving comments, chances are they’ll visit your blog and leave a comment on your slice of life story. If you aren’t feeling the comment love by the end of week one, then shoot me, Beth, Betsy, or Dana an e-mail. We don’t want anyone to stop writing because they feel as though their voice isn’t being heard. If you haven’t read “Join Our Writing Community,” which is a post that contains essential information about the challenge, click here to read it now. Feel free to leave a comment (below) if you have a general question you think others might have that wasn’t addressed in this post..
Michelle Nero, a longtime Slicer, shared “10 Tips for the Challenge” on her blog last year. She has some extremely useful tips (like don’t be afraid to write short) and ones I never thought of (like using IFTTT to pre-set your blog posts). Click here to read her tips now. See you on Tuesday, March 1st!